A belt-pack recorder for wired & wireless lavalier mics. 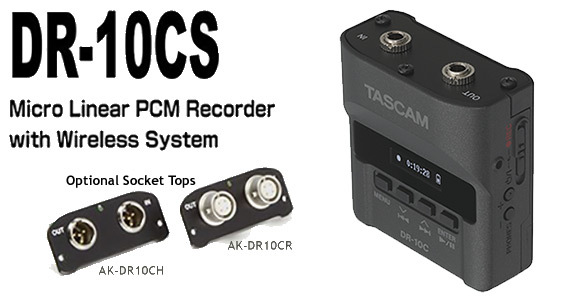 The DR-10CS recorder connects to your lavalier microphone to create a compact recording system that fits on a belt pack. It is designed for use with microphones terminating in 3.5mm mini-jack plugs (e.g. Sennheiser and our own CMM-1 lavalier here). 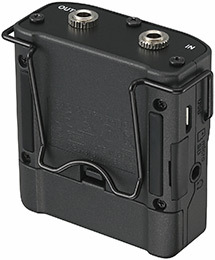 Optional socket-top kits are also available for Shure lavalier mics (AK-DR10CH) and Sony/Ramsa (AK-DR10CR). 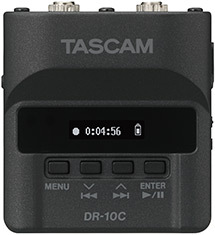 The DR-10C recorder has both inputs and outputs, so it can either be used standalone or with a wireless transmitter. When used with a transmitter, the unit acts as a backup to protect against wireless dropouts during recording. For lectures or worship services, the DR-10CS can record the entire program before it gets to the front of house system. And for events like weddings and reality TV production, the DR-10CS is a compact recording system for body mics. 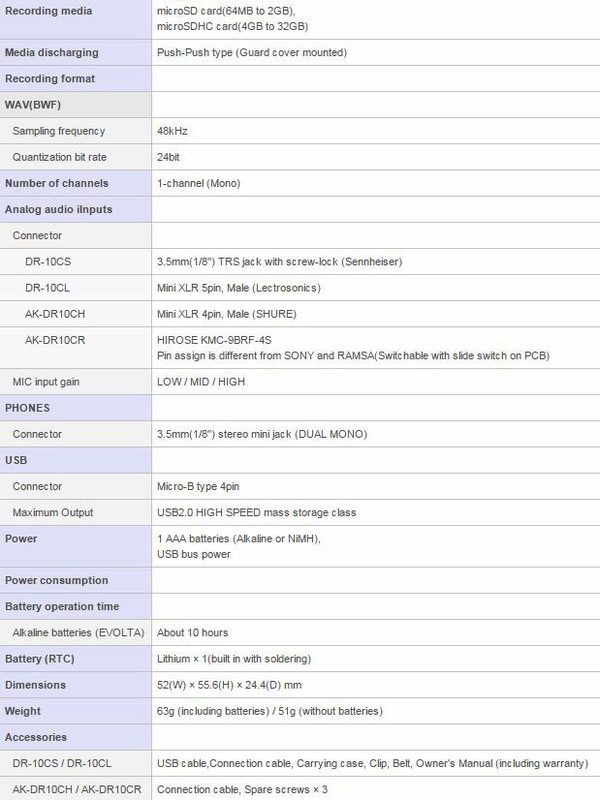 The lightweight DR-10CS runs for 8 hours on a single AAA battery. 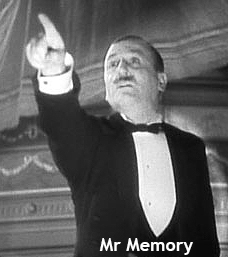 It records to standard microSD media. Recording features include auto-gain and a low-cut filter for simple setup. Its Dual Recording feature records a safety track of your audio at a lower level, so in case of distortion you have a non-clipped backup.